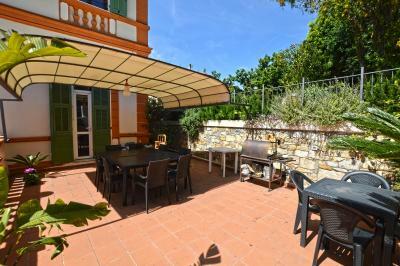 Ospedaletti: Prestigious Apartment for Sale. This exceptional property in Liguria, built in 1886, was home of the Polish Prince Aleksander Lubomirski and recently turned into 6 private and exclusive Apartments after it has been the subject to careful conservation, repair and improvement. This prestigious Apartment for Sale in Ospedaletti is situated on the last floor, is completely restored and furnished, and consists of: Entrance, kitchen, large and sunny living room, master bedroom with en-suite bathroom, bedroom and bathroom; to complete a wonderful terrace with stunning views of the sea and the ex casinò and a parking space. 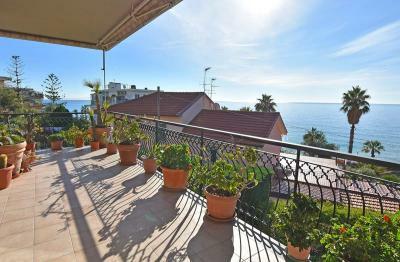 This prestigious Apartment for Sale in Ospedaletti is at walking distance from all the amenities and the seaside, and it enjoy a charming view of the bay.